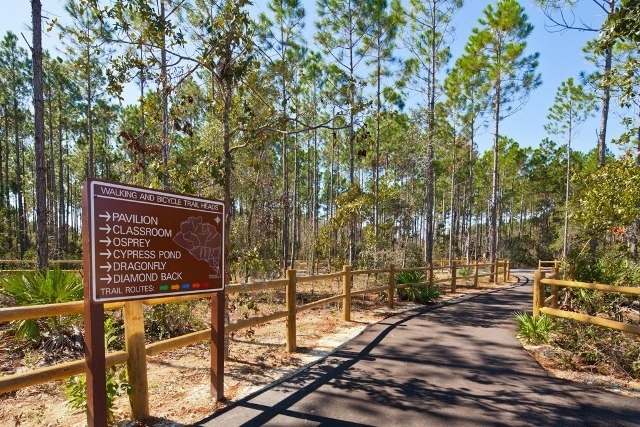 A favorite destination for locals and tourists, the Panama City Beach Conservation Park offers opportunities for a variety of outdoor recreation. 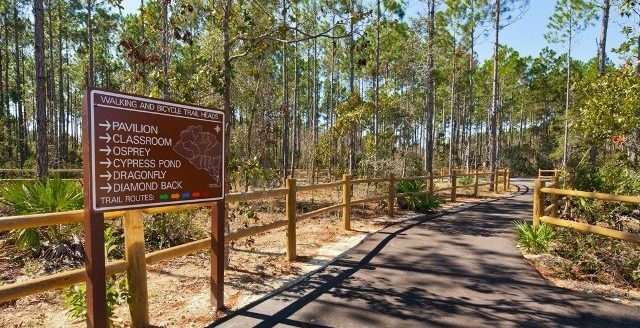 The City of Panama City Beach has established Conservation Park in cooperation with the Florida Department of Environmental Protection for the enjoyment of hikers, cyclists and nature lovers. In addition to the functionality of the park, there are many trails on site from which you can observe native wildlife roaming freely. Encompassing over 2900 acres, the Conservation Park has 24 miles of trails and over a mile of boardwalks that lead through Cypress domes. The trails range anywhere from 0.6 miles up to 11 miles, with 12 different trails to choose from (Trail maps listed below). A 4,400 square foot building is at the southeast corner of the Park to function as a shelter for park users, garbage disposal, public restroom facilities, parking, picnic tables, and a drinking water station. Be sure to bring your binoculars and cameras for bird and wildlife watching! How Does the Conservation Park Serve Panama City Beach? The Conservation Park serves two fundamental principles: to protect and balance our natural resources while providing outdoor recreational opportunities. The 2,900+ acres of West Bay Ecosystem is protected by the management and utilization of the City’s reclaimed water to rehydrate the wetlands. The Conservation Park’s forestry management practices will also lead to ecosystem restoration and habitat improvements as certain species are removed and native species are reintroduced. Address: 100 Conservation Drive, Panama City Beach, FL 32413. Hours of Operation: Dawn to dusk 7 days a week. From the intersection of Panama City Beach Parkway and State Road 79, Travel west on Panama City Beach Parkway approx. 1.2 miles. Turn north on Griffin Blvd. Proceed north to the end of Griffin Blvd. Park entrance on left. Follow Conservation Drive to parking lot. 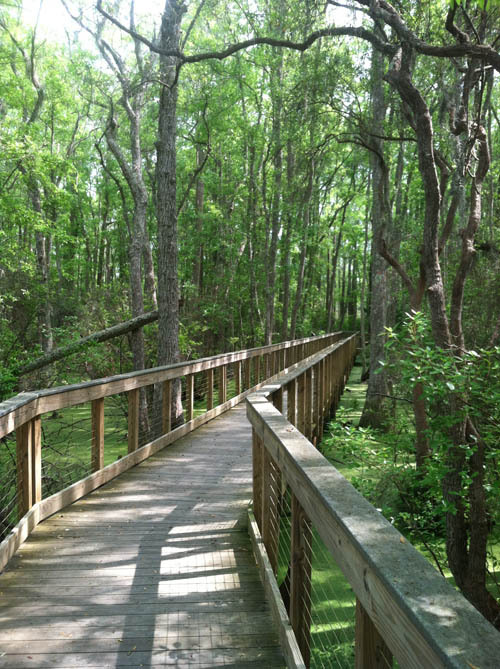 You are one of many who use and enjoy these trails and boardwalks. Please follow these simple rules and please care, share, and protect by leaving no trace of your visit – your actions make a difference. Click Here to download the rules and regulations in PDF format.